Faith, family, friendship, and the flag - these are the core values of the heart of the Branson community. This summer show tour is loaded with all our favorited and equally jam packed with quality and excellence! If you like wholesome clean entertainment, you've found a winner with this one. This morning we depart our home towns and get acquainted with our new travel friends. We overnight in Effingham, Illinois and have a freee evening at our hotel to relax and rest up. Breakfast is included before we continue our journey to Branson, Missouir! We check into our lovely hotel for the next 4 nights - welcome to Branson. Dinner is included before our evening entertainment at the Clay Cooper Theater, featuring Clay Cooper's Country Express Show. There is something for everyone in this high energy show filled with singing, dancing, trick-roping, comedy and much more; with great visual effects and a variety of music - old and new country, gospel, patriotic and rock n roll. Breakfast included. This morning we depart for the Hughes Brothers Theater for the Oh Happy Day Show. This is an all new, all gospel show featuring some of the greatest classic gospel songs of all time. The show features a "super-group" of talented vocalists, a live brand, and comedy antics to entertain and inspire. This afternoon you will have time for lunch on your own before our matinee show, "SIX" at the Hughes Brothers Theater. Sensational harmonizing fascinating instrumental sounds straight from their mouths, six brothers brimming with talent, polished professionalism, and a healthy does of mirth and merriment, they'll entertain and charm you right from the opening note! This gifted group of fun-lovin' guys - with another four brothers that work behind the scenes - set the standard for a show that goes far beyond singing acapella; percussion, strings, horns and other instruments can definitely be heard, they're just nowhere to be found! Dinner will be included this evening before the evening show featuring the Haygoods at the Clay Cooper Theater. The Haygoods bring down the house night after night with ingredibly tight harmonies, innovatice staging and choreography, plus virtuoso performances on over 20 different musical instruments. This adventure combines the family's special brand of musical magic with state-of-the-art special effects and unstoppable energy! Breakfast included. 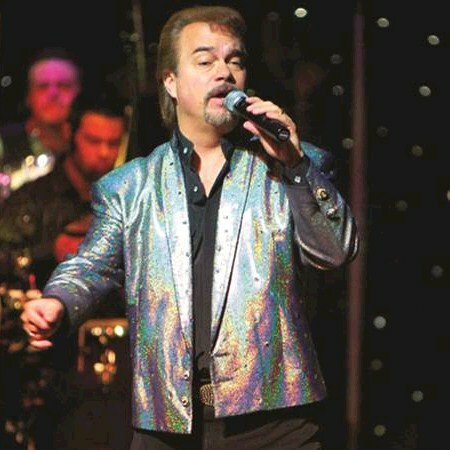 This morning we have a real treat featuring Doug Gabriel at the Pierce Arrow Theater. His show is an audience favorite year after year. Doug impresses everyone with his singing, dazzles with his musical skills, and captures hearts with his sincerity. You will be amazed by his famous Mufftar, made from a genuine 1969 Thunderbird muffler. Lunch on your own before our afternoon show, New Jersey Nights Show. Their impeccable and slightly wacky skills include precise percussion on a variety of surfaces, accompanied by delightfully silly songs and tap dancing. Their astonishing talent creates a show that keeps you mesmerized and laughing from beginning to end; perfect timing and an excellent sense of coordination; coupled with musical skills, helps them deliver an experience you won't find anywhere else! 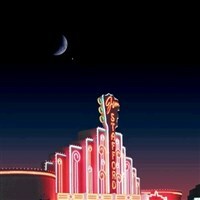 There will be an included dinner before their evening production Presley's Country Jubilee at Presley's Theater. This is the original show on Branson's strip featuring four generations of entertainment with country favorites, southern gospel, and hilarious comedy. From the zany antics of Herkimer and Cecil to the soulful reflection of Southern Gospel music you will enjoy one fabulous show. Breakfast included. This morning's event will include a live show at the Little Opry Theater featuring a Tribute to John Denver with songs like "Thank God I'm a Country Boy" and "Rocky Mountain High" with many more. This afternoon you can have a relaxing lunch on your own and possibly do some shopping in downtown Branson. 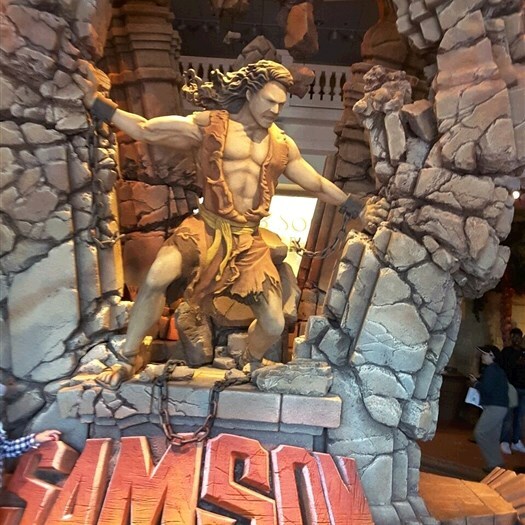 Our matinee show will be at Sight & Sound Theater for their production of Samson, the first superhero. He defeats entire armies and slays lions. 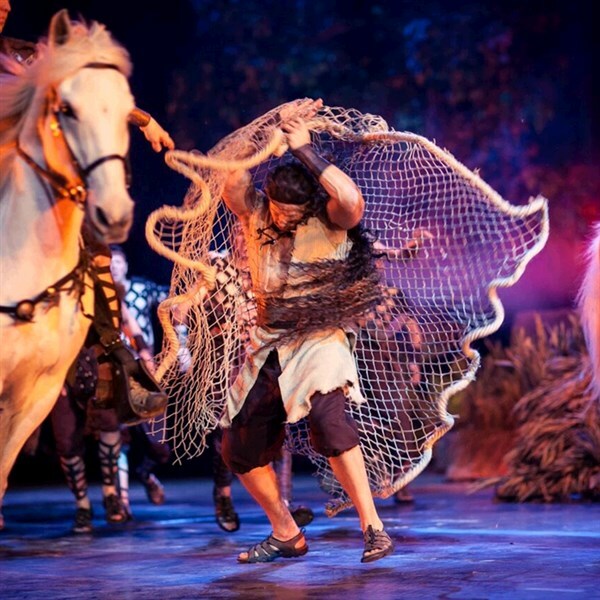 Experience this Bible story in jaw-dropping scale as it's brought to life by a world-class cast, including spectacular special effects and live animals - on stage and in the aisles. The folks at Sight & Sound are well know throughout the country as they bring the stories of the Bible to life before your eyes in their always-elaborate productions. This evening we have a late dinner and ashow at Dolly Parton's Dixe Stampede with an exciting show and a fantastic four-course feast. "Dixie" has taken the entire experience to new levels with a state-of-the-art 150 foot LED video wall that simply blow you away. Experience the Stampede of the Buffalo, hilarious racing pigs, fan favorite competitions, and a Grand Patriotic Finale of red, white and blue set to Dolly's own, Color Me America. It's known as the World's Most Visited Dinner Attraction for so many reason, including those stunningly beautiful horses - 32 magnificent and elegant beasts showcased in captivating equestrian feats which include horse racing stunts at incredible speeds, and trick riders that will completely captivate you! Breakfast included. This morning we say good-bye to Branson and start our journey towards home; but the touring isn't over yet. We will stop at Russell Stover Chocolates, one of the most beloved brands of chocolates in North America. They have been making chocolate in the USA since 1923. You will have time for shopping on our own with many choices for you to custom build-a-box of your favorite chocolates; try their 20 flavors of silky handmade fudge; 48 flavors of jelly beans, and much more. This afternoon we stop at the St. James Winery where we will have a chance to stretch our legs and you may also wish to partake in a tasting while you are here. This evening we check into our hotel at Terre Haute, Indiana with dinner on your own near the hotel. Breakfast included. This morning we continue to make our way towards home with fond memories of a wonderful Branson getaway. Comfort and meal stops will be made throughout our travels home today with arrivals back in our hometowns early this evening. Please Note: We make every effort to adhere to our original planned and printed itinerary of shows, but sometimes changes at the theaters in Branson force us to make adjustments due to unexpected performance schedules which are beyond our control. Wheeling, WV Capital Music Hall, 1015 Main St.